Outside of an image, a headline is one the most important parts of a blog post to draw readers in. Good, strong headlines can capture a reader’s attention and draw them in to get more information and find out more about the story you are sharing. In fact, several of the blogs I follow initially drew me in because of an intriguing headline. 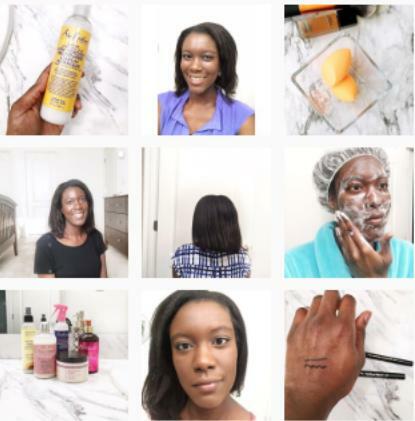 If you’re not a professional writer how do you know what makes up a good headline for a blog post? That’s something I’ve struggled with myself. So I did what I always do when I want to learn about something, I went online. 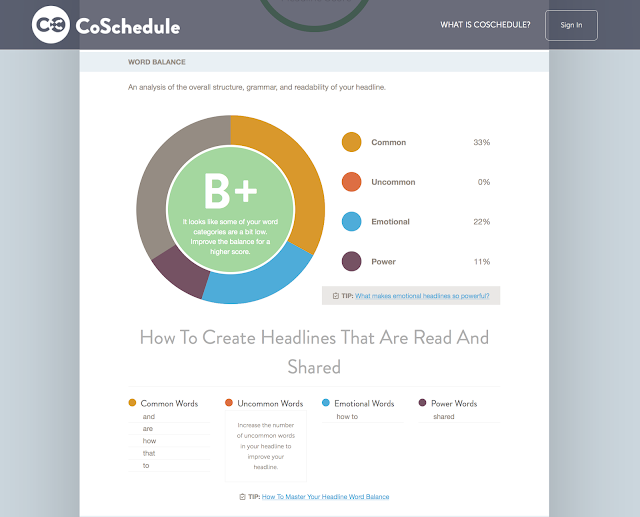 This led me to the headline analyzer by CoSchedule. 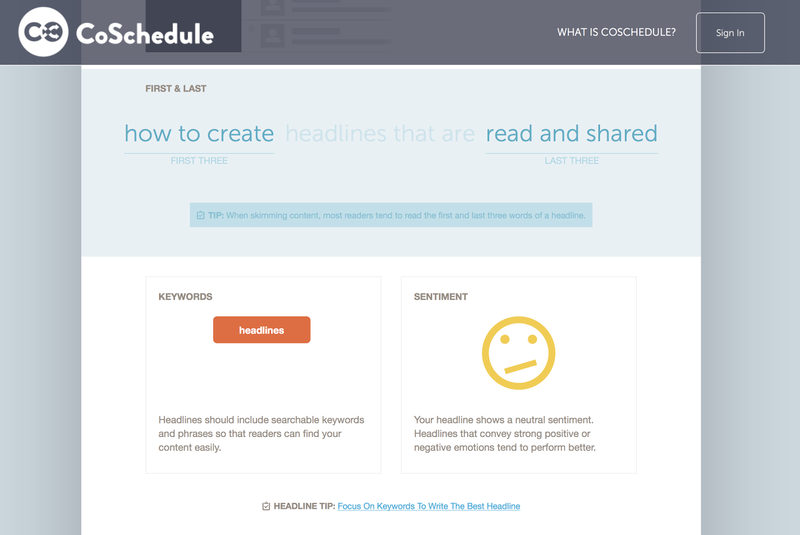 The CoSchedule headline analyzer tool uses research to help determine if your headline has the makings to potentially perform well in SEO and drive traffic and shares. I love how they break down what’s working for the headline and what isn’t. After you type in the headline you’re considering the tool analyzes it and spits out several numbers and graphs. The first result you see is your overall headline score. Falling within a scale of 0-100, this score combines several areas of analysis to tell you how good your headline is. Poor scores are shown in red, ok scores are shown in yellow and good ones in green. When I use the tool I shoot for headlines that are 60+. As you can see this one is a 75 which is one of the highest scores I've gotten for a headline. Something I find very helpful is that until you refresh or navigate way from the page, you have a history of the headlines you analyzed. It shows your score and you can click on the past headlines to look over the data again. This feature is a lifesaver when I’m trying out different variations of a headline because I don’t have to write down or remember all the variations. 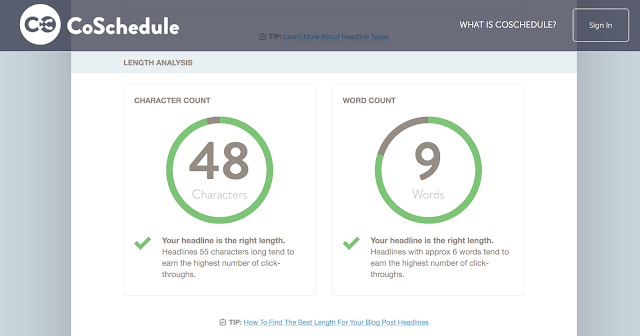 After providing your overall score, the headline analyzer breaks down what makes up that score. These results include information about the structure and word balance in your headline, how unique the headline is and the length. The second section of results is about the word balance or overall structure of the headline. Your score here consists of a letter grade which is made up of four sections: common words, uncommon words, emotional words, and power words. As you can see this headline received a B+ and is heavy on the common words, but light on the power and emotional words. The next section about your headline type. It tells you if your headline falls into the categories of list, how to, or generic (which you want to stay away from). Next is the length analysis. The headline analyzer tells you if your character and word counts are within a comfortable range for getting click-throughs. This headline is right within the comfortable range for both. As a bonus, at least to me, the length analysis shows you what your headline could look like in Google search and an email subject line. 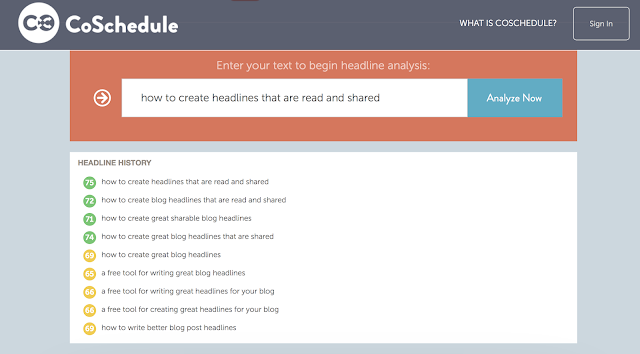 Additionally, the headline analyzer provides you with you keywords that you can include in your post and a sentiment score of positive, neutral or negative. Since I’ve started using the tool I have seen more traffic overall and more from Google search that I was previously. I admit I don’t always use the CoSchedule headline analyzer for every post, but when I do I’m more pleased with my final headline than the one I started with. 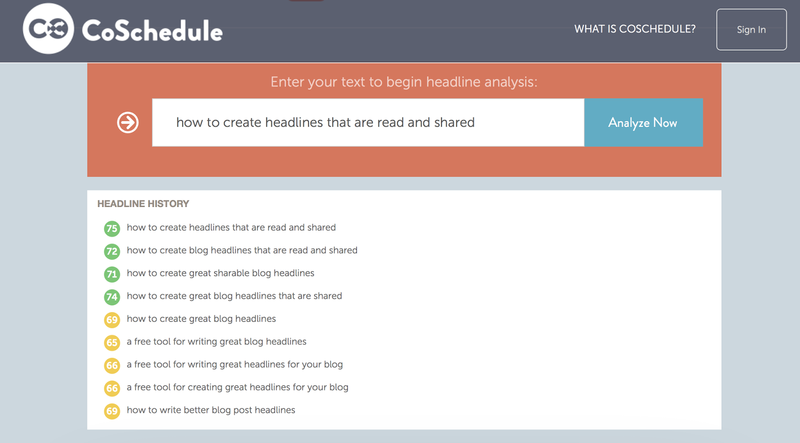 Do you use a tool to create headlines for your blog posts?